For all your tax, payroll, bookkeeping and business service needs, partner with Premos Tax & Bookkeeping Service. With strong ties to the Sioux Falls community and a penchant for getting to know our clients, we work hard to understand your business and make sure we’re helping you achieve success. Call today to schedule an appointment with our experts and let us show you our value as a tax service provider. Count on us to keep things running smoothly. The most important thing for any business’ success is strong, stable financial operations. 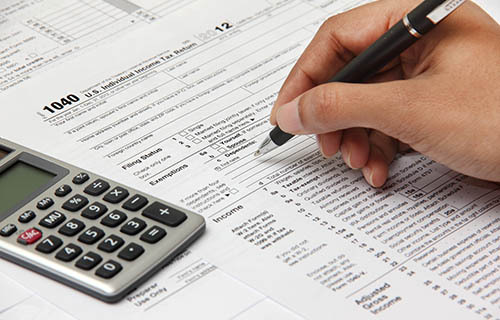 To do this, you’ll need help when it comes to a variety of tax services in Sioux Falls, SD. 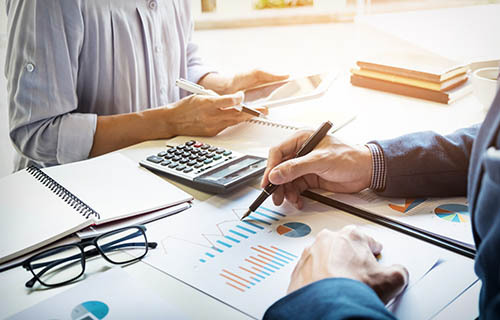 Premos Tax & Bookkeeping Service is ready to assist you and make sure your business always has the stable financial footing it needs to press onward. From helping you incorporate your business, to setting up payroll and helping you keep your books balanced, to providing tax planning and preparation services, we align ourselves with your business to ensure success. Our team gets to know your business, to make sure we’re always focused on your best interests! Together, we’ve got a long-term recipe for success. 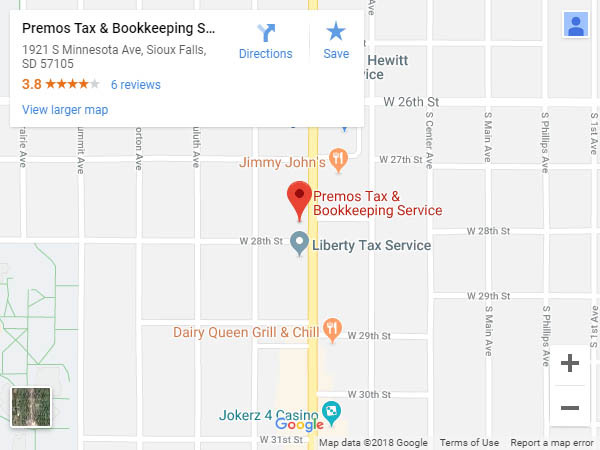 Our bookkeeping services in Sioux Falls, SD are built to evolve alongside your business. Count on us to keep things running smoothly as you grow and add new customers or employees, and your bookkeeping demands change. Our commitment to our clients even extends to training. We’re QuickBooks Pro advisors and can help you get setup with this software, teaching you how to manage your day-to-day operations better through it. From budgeting and forecasting to balancing your accounts and generating P/L statements, we aim to make running your business as easy as possible. Let us show you a personal level of service you won’t find anywhere else—one that will ultimately benefit you, your business and your future success. All of the tax and bookkeeping services we offer are specially geared to the individualized needs of our clients. We’re registered with the Internal Revenue Service (IRS) and are qualified tax preparation specialists. We’re QuickBooks Pro advisors who can teach you how to make the most of this powerful software and run your business effectively. Our offices have a comfortable waiting room and a kid’s area. Visiting us is always a hassle-free experience. We’re experienced in all forms of business incorporation, including forming LLCs, corporations, partnerships and more. From incorporation filings to bookkeeping, payroll and tax services, we’re with your business every step of the way on its journey to success. Partner with us today!